Chocolate is one commodity that will never go out of style. If you love chocolate as much as we do, then Chocolate: The Exhibition at the Academy of Natural Sciences of Drexel University will satisfy your all your cacao cravings. This sweet new exhibit features interactive displays, tastings, special programs and traces chocolate to its rain forest origins. After you've interacted and learned a thing or two about the famous cocoa bean, you'll sample tasty chocolate goodies from Philly's many chocolatiers, mixologists and patissiers. Sustainable Chocolate Day: Nov. 2, noon-2 p.m. Melted varieties of chocolate will flow through the museum's commons room, with visitors receiving a box of delicious treats for dipping. $8 per person. Cuisine from the Collections: Chocolate Edition: Nov. 8, 7-10 p.m. The museum's annual event features edibles from the everyday to the exotic. 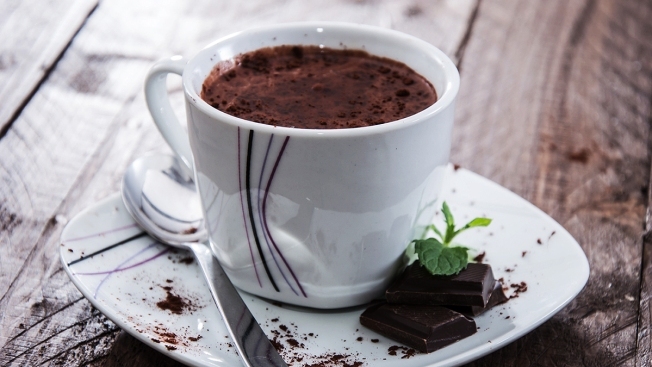 Hot Chocolate Bars: Nov. 28-30 and Dec. 27-30, noon-2 p.m. Visitors get the chance to warm up with the ultimate drink of hot chocolate --- and 20+ toppings. $6.95 per person. One Last Shot of Chocolate: Beer and Chocolate Tasting: Jan. 15, 7-9 p.m. A reception that offers a sweet to savory menu of foods with just the right kind of beer to go with them. Ages 21 and older; $35 per person. Admission to Chocolate: The Exhibition is $5, but you can save $2 when you purchase tickets online with promo code "TV2014." The Academy of Natural Sciences of Drexel University is located at 1900 Benjamin Franklin Parkway in Philadelphia, about three hours from downtown D.C.